Amanda Sacks-Zimmerman always knew she wanted to be a psychologist. As a youngster growing up in Great Neck, Long Island, she was the go-to friend for problem solving. “I had a knack for listening to others,” she says, and she was fascinated by the kinds of personal problems friends and family members encountered. Even at an early age, she says, she found herself able to analyze problems and devise solutions that could made people feel better. Little did she know that one day she would merge her listening skills with the complex field of neuropsychology — and end up at the forefront of clinical neuropsychology rehabilitation. It was as an undergraduate at George Washington University in Washington, D.C., that Dr. Sacks-Zimmerman first became fascinated with developmental psychology, which in turn drew her into the evolution of the human psyche. She began to grasp how understanding the biology of the mind was integral to practicing psychology. “I could see how deep the field went and how fundamental the brain/behavior matrix was to understanding myself and others,” she says. But she knew she needed to delve further into the neurological triggers behind a wide range of human behaviors. She took that journey at Fairleigh Dickinson University in Teaneck, New Jersey, where she earned her PhD. It was at her first assignment as a PhD, at Creedmoor Psychiatric Center in Queens, New York, that she discovered the depths of the brain-mind connection. The patient population there was severely compromised from a wide range of significant psychiatric conditions: bipolar disorder, schizophrenia, major depression, and schizoaffective disorder. “These patients couldn’t function on their own; they were completely unstable.” she laments. “Yet each had some component of strengths and insight into their pathology. That was my introduction to understanding the human will to survive despite psychopathology.” The variance in the patients’ behaviors led her to see just how important the biophysiological aspect of psychology was. “I saw up close how our brain chemistry dictates our mood states,” she says. In two post-doctoral positions that came next — the first at the University of Medicine and Dentistry New Jersey (UMDNJ) and the second at Mount Sinai School of Medicine — Dr. Sacks-Zimmerman focused on brain pathology due to a variety of neurological conditions. She measured deficits with neuropsychological measures while learning techniques to remediate cognitive deficits. At UMDNJ, she studied geropsychology — the study of how aging affects the brain and personality. She saw how much more neuroanatomy was tied to the progression of disease and how that functionality can occur in the context of disease progression. 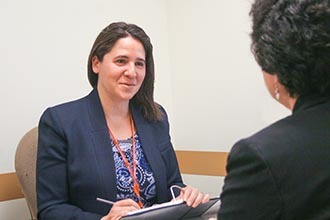 At Mount Sinai, she saw firsthand how personality and cognition were impacted after injury — and that by understanding the injury she could derive a treatment to help people recover. All these clinical training experiences paved the way to the cognitive remediation techniques Dr. Sacks-Zimmerman practices today. The treatment focuses on understanding the neuropathology of the underlying disorder, then designing and customizing a strategy for the patient’s recovery. Those disorders include traumatic brain injury, stroke, tumors, epilepsy, and other serious brain conditions that can affect cognitive functioning. 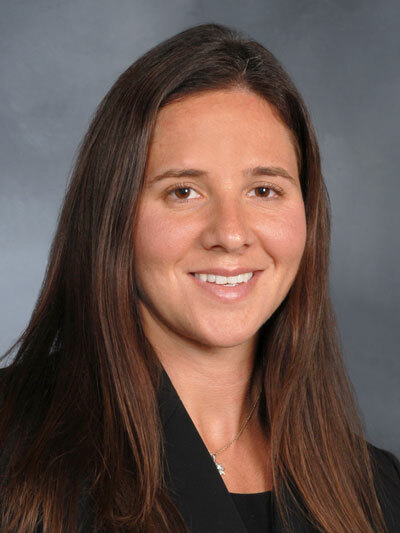 Today Dr. Sacks-Zimmerman is a clinical neuropsychologist at the Weill Cornell Medicine Brain and Spine Center, where she works primarily with patients undergoing care for a neurosurgical condition. She offers both pre- and post-operative testing along with cognitive remediation after treatment, and she is dedicated to educating patients about the unique interplay between their brain – the physical organ — and their mind — the thinking, feeling, complicated self. You must treat both, she says, in order to heal the whole patient. Of all her accomplishments, Dr. Sacks-Zimmerman says she is most proud of how she can use her knowledge of the structure and function of the brain to help people tap into their own emotional and cognitive strengths. The neurosurgeons on staff collaborate closely with her; cognitive remediation is valued and appreciated as a part of the overall treatment plan. Above all, though, Dr. Sacks-Zimmerman still values the ability to make people feel and function better. She fondly recalls one psychologist she met years ago, a woman with a tremendous ability to do just that. “Her approach and her ability to heal negative emotions through just being able to frame things a certain way… I found it magical,” she says. Having the skills to facilitate neuropsychological healing based on neurological knowledge and belief in the infinite capacity of the human will — now that’s magic. Read Dr. Sacks-Zimmerman's blog post, "The Role of Neuropsychologists in Neurosurgery"